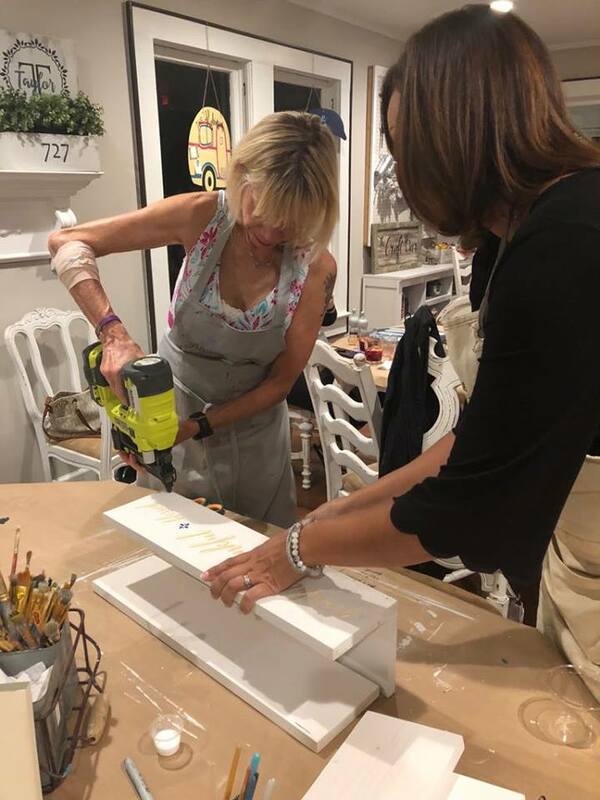 When I was invited to attend a DIY workshop with Tampa Bay Bloggers at the flagship Aerie Lane location in Safety Harbor, Florida, I jumped at the chance! 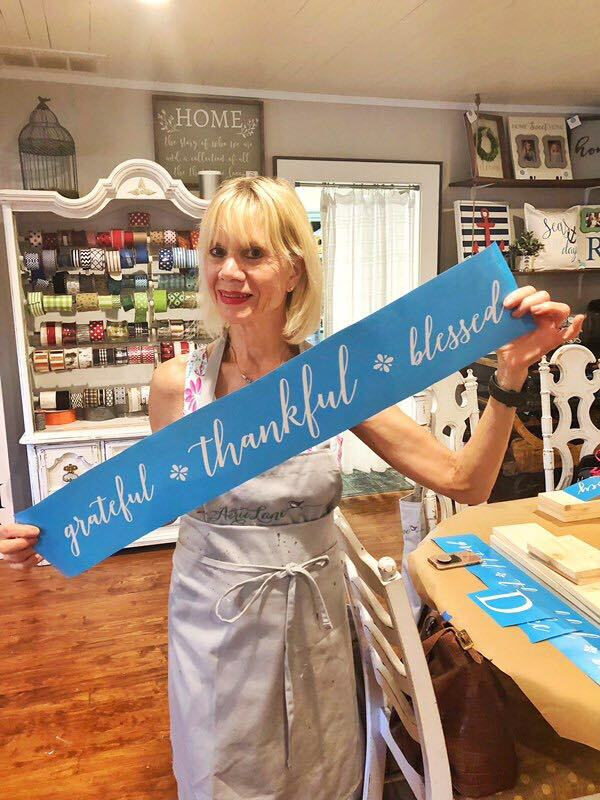 I was a tiny bit anxious though because I do not consider myself a “crafter” and worried my work would be uninspired, and certainly not up to the standards of my talented fellow blogger sisters. But any angst I had was thoroughly washed away once I arrived at Aerie Lane and worked with their talented staff. 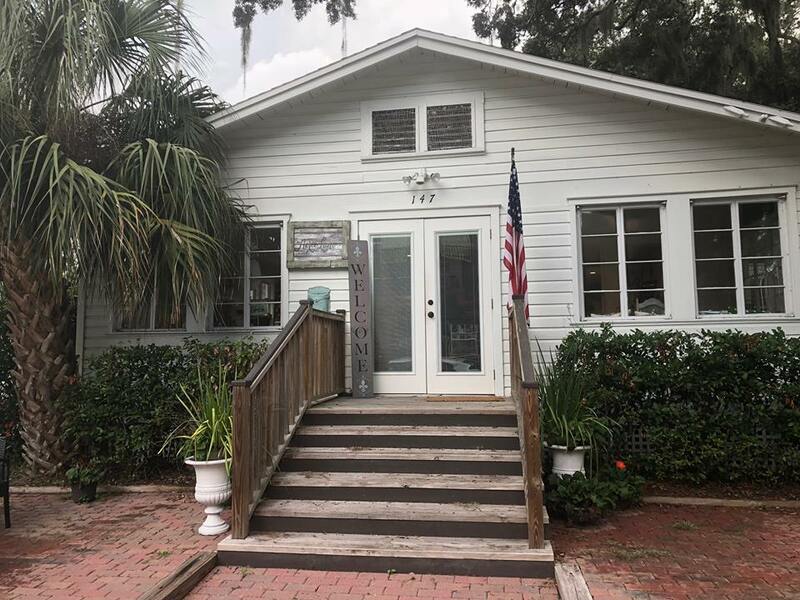 The flagship shop of Aerie Lane is located in Safety Harbor Florida in a very quaint renovated house. It has a great vibe and you just know it is going to be a fabulous experience once you arrive at the shop with its very huge welcome sign! Once inside, we were greeted with a wonderful welcome sign, which displays the company’s goal of providing space for “gathering and creating and repeating.” And yes, there was wine! And lots of food as well. 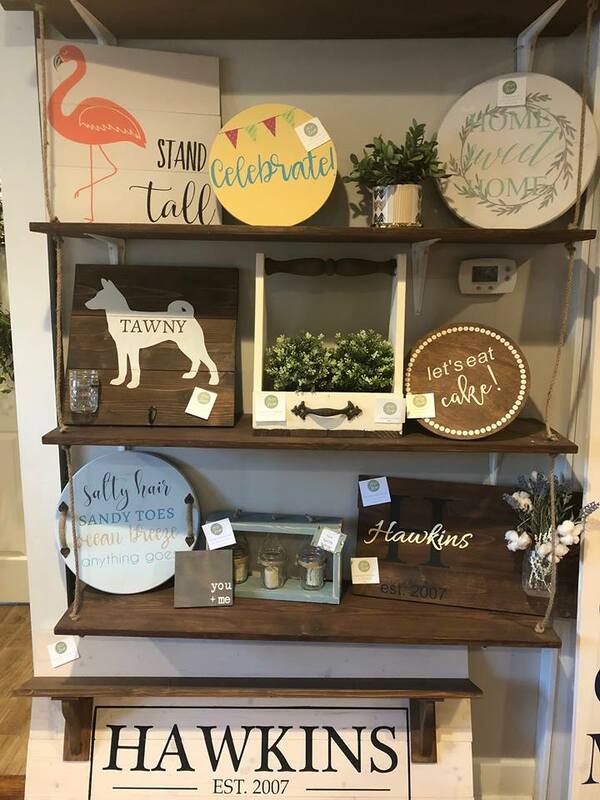 While we waited for everyone to arrive we had plenty of time to browse through Aerie Lane and see all sorts of wonderful ideas and items for sale. 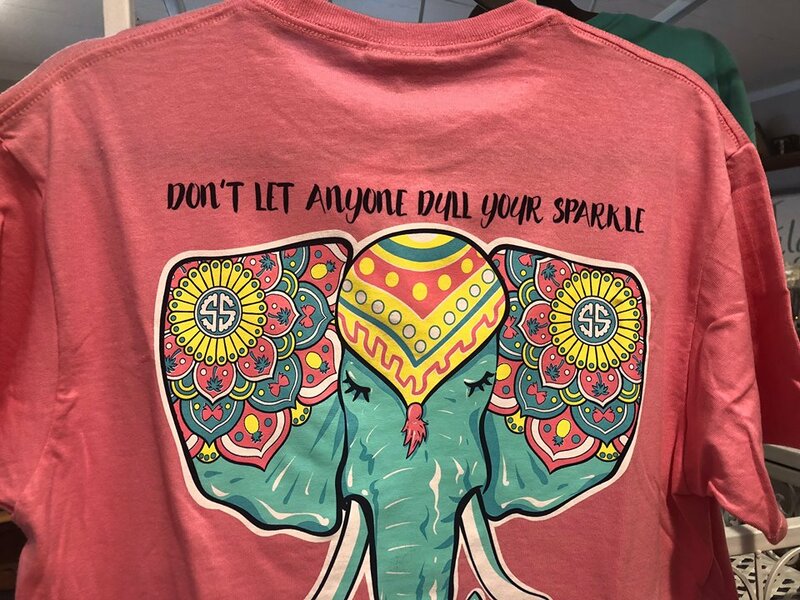 I really related to this beautiful pink t-shirt, because life is definitely too short not to have sparkle! Our projects were all laid out at three tables for us. For my project, I chose to make a rustic centerpiece. Here are the main components for my project which I found at one of the tables! I was very excited to get started. Aprons were provided to protect our clothes. Finally, we were ready to begin a journey to transform our basics into a work of art! 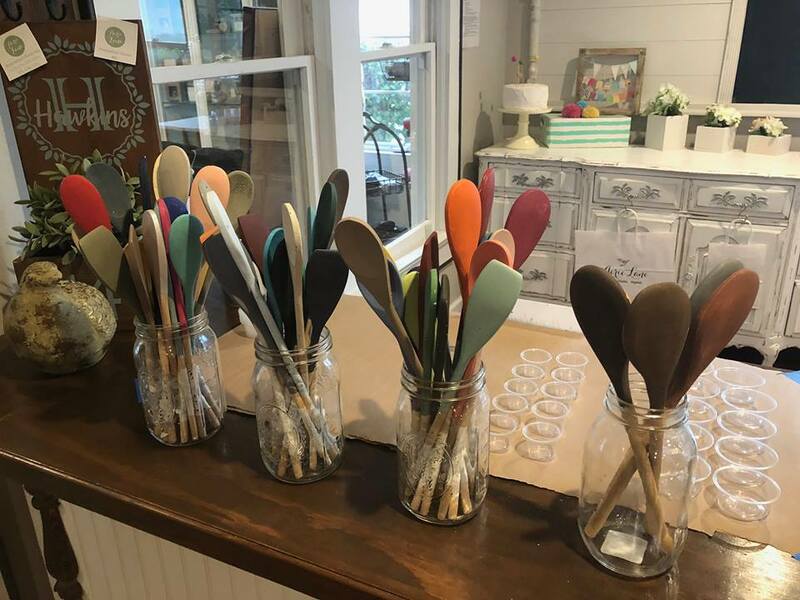 Shelya, one of the co-owners presented Aerie Lane’s history and mission statement, which is to provide a cool and relaxed meeting space for DIY workshops and also a gathering space for social get-togethers, such as baby showers, wedding showers, birthdays, etc. The space was so eclectic, I can definitely understand why Aerie Lane is so popular. 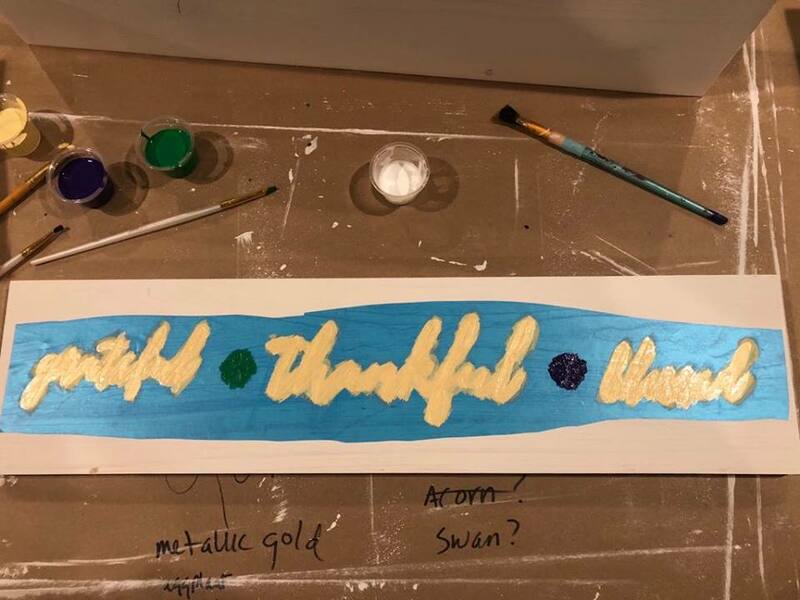 After the whitewash was dry, came the next step: placing the stencil, covering with a thin coat of mod podge and begin painting with our selected colors. Mine were gold, purple and green. 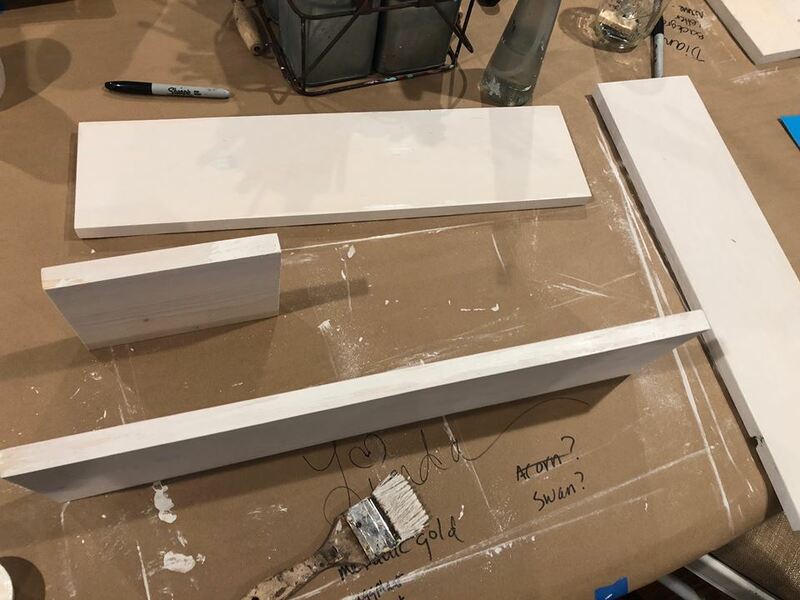 We were encouraged to use multiple thin layers of paint because that works best for quality results. The tables were covered with brown paper coverings, so we could make notes as we progressed. You can see my notes. 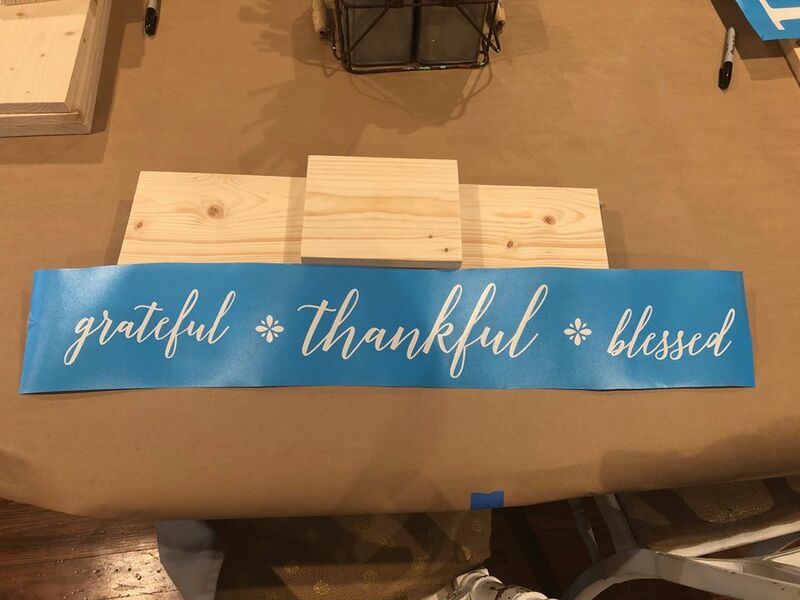 When the layers of lettering paint was dry (which took only 10 to 15 minutes) I peeled off the stencil and it was time to assemble the centerpiece. Here Shelya is helping me to position my pieces in place. And I was able to use a badass staple gun to staple everything together with Shelya’s assistance. Here is my beautiful completed centerpiece. Thank you Shelya for all your patience and help! There are so many possibilities with my centerpiece! Have you ever been to an Aerie Lane? Not only is it a fabulous experience for a DIYer, but it is an ideal gathering space. 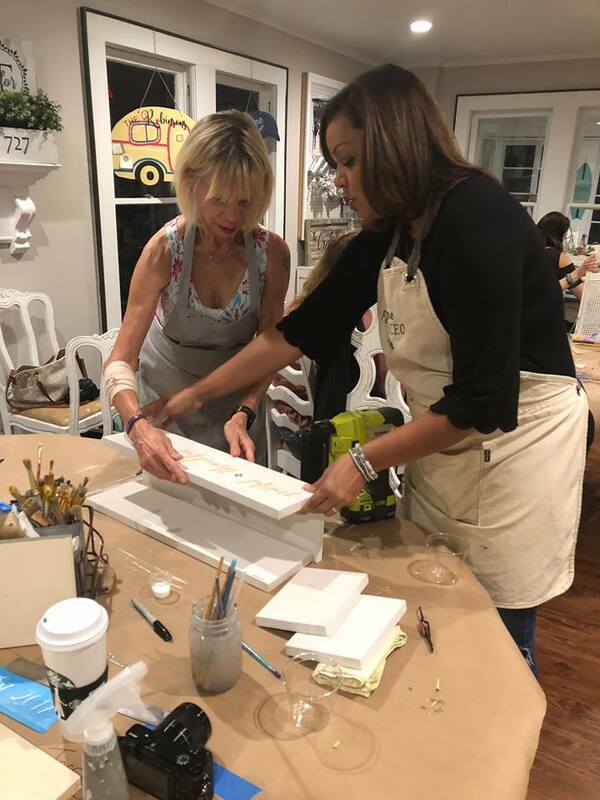 The staff was experienced and attentive and put a timid crafter, such as myself, at ease and even instilled the confidence I needed to successfully complete my project with such impressive results. And they were there every step of the way! Currently, there are seven Aerie Lane locations throughout the state of Florida, and also locations in Georgia, Indiana, Michigan, South Carolina, Texas, and Washington. If you have never been to an Aerie Lane, you are really missing out! You are in for an absolutely fantastic time. 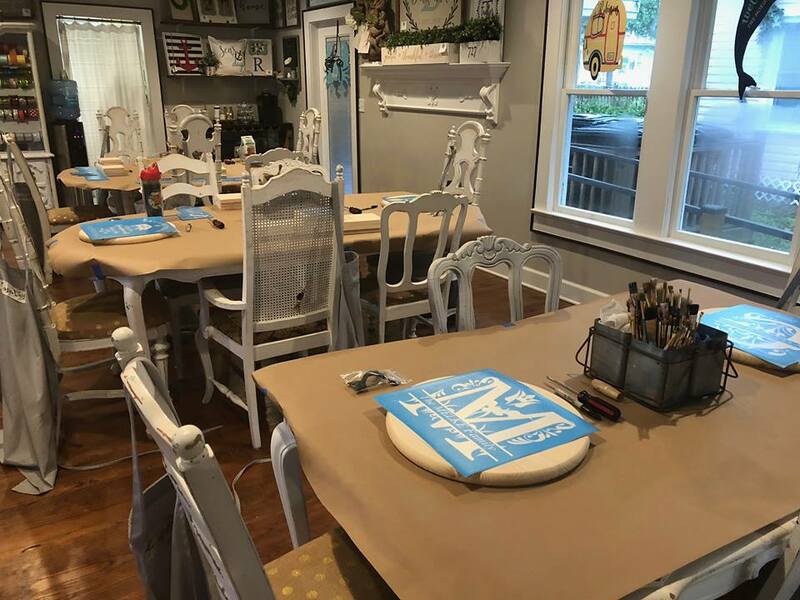 Due to my relationship with the Tampa Bay Bloggers, I was offered a free craft night at Aerie Lane along with a small stipend in exchange for this honest review. All opinions are my own. Looks like so much fun! I love how your project turned out! I’m wondering if the bloggers who attended were asked to not mention project price ranges? I haven’t seen it said on anyone’s post. I’d love to visit to do a project, but cost would be a determining factor for me- especially since I would be coming from 30 minutes away. I have even looked on their website but wasn’t able to find out any information on pricing. Do you have any advice on how I might find this out? Thanks! Hey Stephanie. No, we were not advised at all how to do our blog reviews, other than given the hashtags to use on the various social media platforms. There’s like 7 or 8 Aerie Lane locations in Florida. Perhaps one is closer to you up there in Lutz? This is Shelya, one of the co-founders of Aerie Lane 🙂 Our project pricing ranges from about $30 to $120 depending on the project. The specific project pricing can be found when you head to our workshop calendar to register for a particular project. We can always easily be reached through chat on our website or by email to answer about specific projects as well. Our pricing does vary by location as well since each location is independently owned. If there’s anything I can help you with so you can come visit us, please don’t hesitate to contact us! I loved this event! 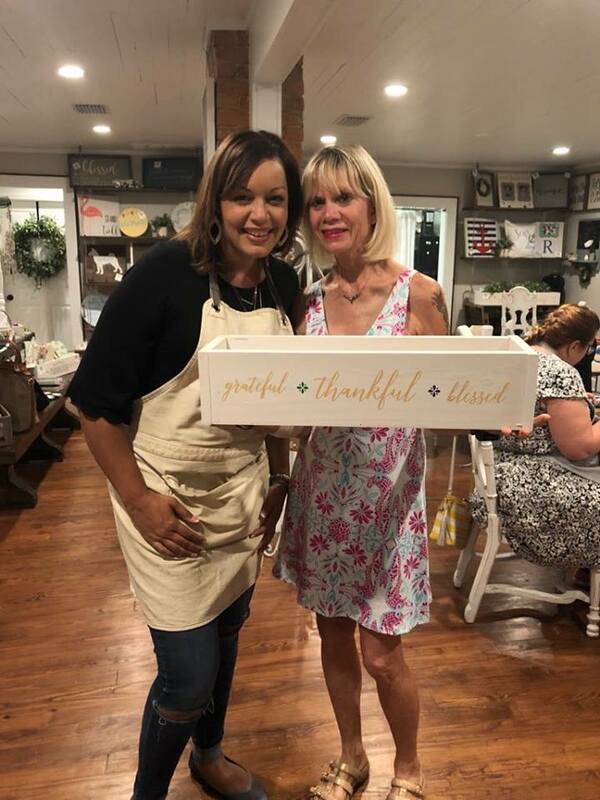 Your centerpiece box is so pretty! I did the brown one with my last name on it and was really happy with it, too! Thanks Marsha! 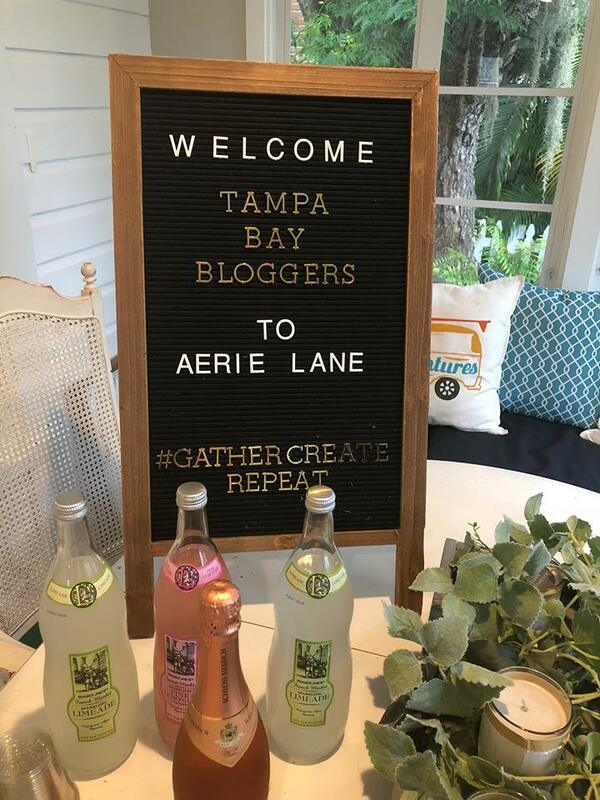 I had so much fun with you and my sister bloggers st Aerie Lane. My centerpiece is in my living room!